I was so busy getting my Christmas House Tour post ready (if you haven't seen it, make sure and check out the previous post), that I didn't get a chance to go through all the links this week. But I did see this adorable "paint dipped" dresser by Faded Furnishings, and I fell in love. So it's my feature for this week's Frugal Round-up. Hi Wendy, its a fun season for making and decorating. Thanks for hosting Frugal Friday. Have a great week. Thanks for hosting! I love seeing a mix of Christmas ideas and other inspiration! 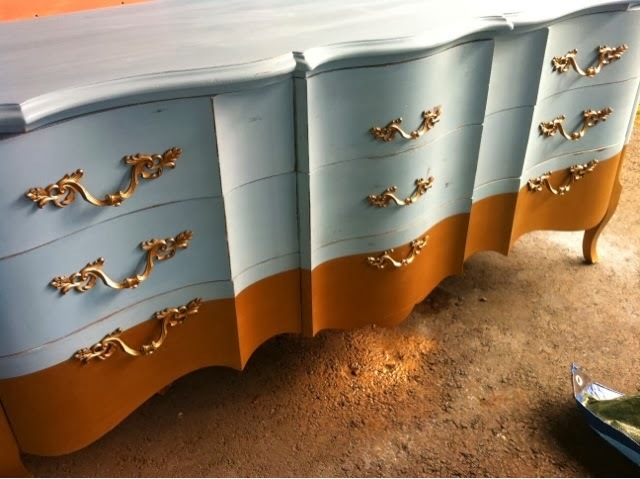 Oh how I love that "dipped" dresser! Thank you for the wonderful party Wendy. Beautiful dresser I can see why you fell in love. Thanks so much for hosting. Great party, thanks for hosting. Hi Wendy! Thanks for hosting this wonderful party. Have a great weekend.